Dorpers and White Dorpers are Australia’s preeminent low maintenance meat sheep, adapted to vast range of conditions across the country. The success of the Dorper breeds in expanding the prime lamb production in Australia in barely two decades is well recognised. Dorpers and White Dorpers have also provided the genetic base for a number of new composite ‘breeds’ that seek to capitalise on the breed’s success but only Dorpers and White Dorpers have the performance and predictability, based on 80 years of breeding, to enhance the long-term profitability of the national sheep flock. Greater profitability can be gained when breeding with the Dorper. Dorpers were bred to produce a high-quality carcass under extensive conditions. 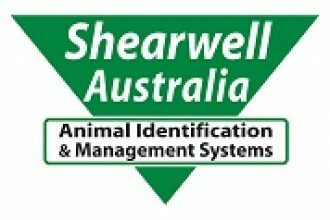 They have the reputation of rapid weight gain, excellent carcass conformation, fantastic fat distribution,are non-selective grazers and they have excellent feed conversion. With their shedding ability, they are low maintenance and do not require shearing, mulesing, crutching or tail docking. Dorpers and White Dorpers are also highly fertile very maternal producing fast growing vigorous lambs. They are polyoestrus and lambing intervals of little more than six months can be achieved and systems based on eight-month lambing intervals are common. Many breeders have noticed that the Dorpers natural pigmentation protects them from skin cancers seen in many other breeds in Australia. Click here to read an article about a producers experience with the low maintenance breed.